The Cook Gunther Tulip IVC filter was first made available in the United States in 2003. This IVC filter has four anchoring struts for fixation and eight independent secondary struts to improve clot trapping and centering of the device. The Cook Gunther Tulip IVC filter is an optionally-retrievable IVC filter. Once the risk of clotting has passed, it should be removed from the patient. After 3 to 4 months, the filter is susceptible to breaking or moving in the body, which can lead to serious complications and even death for the patient. Not surprisingly, some of the patients had serious adverse outcomes as a result of these events. Bouldry, Huff, Lorenz and Roberts vs. Bard. (2012). 15th Judicial Circuit, Palm Beach County, Florida. Class action complaint for medical monitoring. Deleon and Gonzalez. (2012). Class complaint for medical monitoring; Demand for trial by jury. Superior Court of the State of California for the County of Los Angeles – Central District. 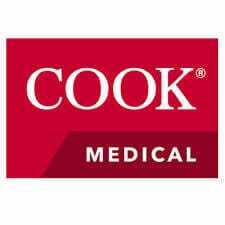 Johnson and Johnson v. Cook Medical. (2015). U.S. District Court Eastern District of Michigan Southern Division. Complaint and Demand for Jury Trial. Brown and Brown vs. Bard. (2012). Class action complaint for medical monitoring. Court of Common Please Philadelphia County. Tillman vs. C. R. Bard. (2013). U.S. District Court Middle District of Florida Jacksonville Division. Complaint for damages. Vlasvich vs. C.R. Bard. (2013). U.S. District Court for the Northern District of Illinois. Complaint.